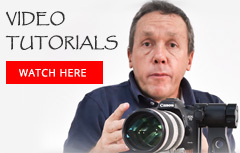 Autofocus in modern dslr cameras has become extremely effective in recent times. 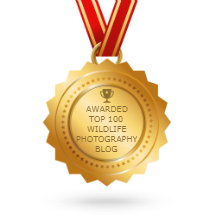 However, there are many aspects to autofocus and what might be best for a sport or wildlife photographer might be different from the needs of a wedding photographer or events photographer. My friend and fellow camera enthusiast Chris Frylinck, and my wife Helena both use their Canon cameras in very low light situations, when photographing people, usually indoors. With their combined experiences in mind, Chris expressed his interest in comparing some Canon cameras autofocus capabilities with one another in extreme low-light conditions. We immediately gathered a bunch of cameras together. Chris, with his engineering background, provided the testing methodology and expertise, whilst I carried out the AF testing. A Selection of Canon DSLR bodies, and an EF 70-200 f/2.8 L IS II lens. We set up for the test indoors, in a double garage with no windows to the outside. With an overhead sun, we gradually lowered a roller door to near ground level to evenly darken the shooting area. The target subject was a white and brown toy animal, which had very bold black and white areas around its eyes and nose. The background to the subject was a white wall. Chris tested the target area lighting regularly with a Tenmars TM 209 light meter. 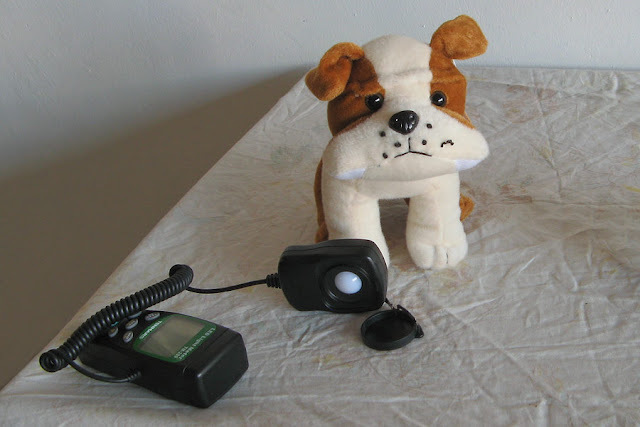 Electrical engineers use these meters to measure light levels in new installations. We used a Canon EF 70-200 L f/2.8 IS II lens, which has a reasonably fast aperture, and Canon’s newest AF technology built into it. We managed to gather together a variety of Canon dslr camera bodies. For the entry-level range, we had the EOS 550D. Although not the newest version of this camera, this model shares its AF specification with the latest available model in this range. For the pro-sumer range, we had the EOS 40D. Again, although this is not the latest version of this camera, it does share its basic AF specification with the latest model (which is the 60D). In the semi-professional range, we had the EOS 7D and the EOS5Dmk2. We mounted the lens firmly on a Slik tripod and changed bodies only between bursts of test shots. We set all the cameras to single AF point, and selected the central AF point. In the first half of the test, when all the cameras could easily find focus, using more than one AF point just slowed down acquisition time. Toward the end of the test, when lack of light was making it impossible for some cameras to focus, we switched between single AF point and all AF points. During the focus test, we tested how quickly the cameras locked on when placing the AF point somewhere on the larger, featureless brown or white lower contrast areas of the subject. We then tested again by placing the selected AF point on a high-contrast edge area around the subjects black and white eye/nose area. To begin with, it was really surprising just how dark we had to make the room before getting even the entry-level camera body to start showing effects of less light. The 550D locked on quickly and positively, but sometimes took a second, shorter AF adjustment to achieve proper focus, on both low-contrast area and high-contrast edge. 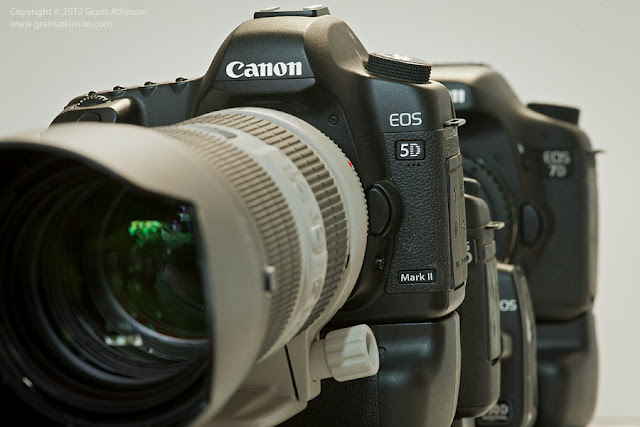 The 40D, 7D and 5Dmk2 all locked on in one instant and positive shift on the low-contrast area. The lock-on was even faster and more positive for the high-contrast edge. We lowered the light to 9.8 Lux, which equated to exposure readings of 1/6s, f/2.8, at iso 400. The 550D took two big shifts to lock on to the low-contrast area. It was still positive and fast, on the high-contrast edge. The 40D took two focus shifts to lock on to the low-contrast area. It still focused positively on the high-contrast edge. The 7D took a couple of focus shifts to lock on to the low-contrast area. It still focused positively on the high-contrast edge, but sometimes made a second adjustment shift. The 5Dmk2 continued to lock onto the low-contrast area in one quick AF shift. It locked on to the high-contrast edge very quickly and in one positive movement. We lowered light levels to 4.5 Lux, which equated to exposure readings of 1/0’3s, f/2.8, iso 400. The 550D would not find focus anywhere in the low-contrast area. It still managed to focus on the high-contrast edge, although the AF drive was slowed-up, and it took two AF shifts. The 40D would not focus on the low-contrast area, but was able to focus on the high-contrast edge, also taking two AF shifts. We had to be very accurate with where we placed the single AF point. The 7D would not focus on the low-contrast area, but still managed to focus on the high-contrast edge. It took two to three AF shifts to do this. With all focus points active, the camera was able to lock onto the target, but irregularly and after several attempts. The 5Dmk2 occasionally locked focus on the low-contrast area, after many focus shifts. It focused rapidly on the high-contrast edge, although sometimes still making two focus shifts to lock on properly. Using all AF points active, the 5Dmk2 locked on with just two focus shifts. At this light level it was the best performing of the camera bodies. At one light level below this, the 5Dmk2 was the only body of the group that would have still been easily capable of focusing quickly and accurately enough for proper use. All of these cameras will focus in surprisingly low light. All of them also have the ability to lock focus quickly, even in low light, especially when paired with a high-quality lens like the EF 70-200f/2.8 II IS that we made use of for this test. No matter which body is in use, there are ways to help the AF work more accurately. Use a single AF point, usually the centre one, as it is normally more sensitive than the rest of the AF points. We did also have some success in very low light with engaging all AF points when trying to focus, with the 7D and the 5Dmk2. In all instances, whether using only the centre AF point, or all AF points, placing the centre point over an area of higher contrast in the frame helped the AF lock on quicker. For example, in our test shooting our target toy animal had a black nose, and in the lowest light levels of our testing, I found it easier to get the AF to first focus on this highest contrast part of the subject, then refocus on the eye which required just a small further AF adjustment. In such low light, one would normally expect to make use of a flash to actually take proper pictures as it was really dark. With an external flash mounted, all of the EOS bodies can fire an AF-assist beam, which is a burst of light emitted by the flash that enables AF to be quickly carried out. The AF assist function uses a “light” to light up the subject and thus assists in grabbing focus. The camera does need to be in One Shot AF mode for this function to operate properly, and the AF-Assist beam options must be enabled on the camera menu and on the flash itself, depending on the model. The results of this test would have some relevance for photographers who use their cameras in very low light, especially those who shoot indoors. In this regard we felt that the 5Dmk2 stood clear of the other, less expensive dslr bodies that we grouped together for the comparison. In very low light, the 5Dmk2 would make it just a little easier than any of the other cameras to get focus quickly and accurately. AF sensitivity is specified as an EV range, and the lower the first number, the better. Therefore a first value of -1 would mean that the AF system would operate in half as much light as one rated at -0.5. All four of the dslr bodies have only identical metering ranges according to their specification. From the results of our test there is clearly more to the AF performance than what can be inferred from the specifications listed in the owners manual. Ultra-low light autofocus performance is just one aspect of autofocus performance, which may mean different things to different photographers. For my own shooting needs as a wildlife photographer, the results of this comparison have no relevance. Although I rely on AF all the time, I always run out of light for a decent exposure or to be able to freeze subject motion some time before the AF starts struggling. I don’t use flash either and stop shooting when it becomes dark. It may be possible to replicate the exposure settings that Chris and I created, and get different results from the AF systems but we were satisfied that our results were accurate. It was clear to us after this comparison test that the 5Dmk2 was definitely the easiest camera to work with of those that we tested in very low light. 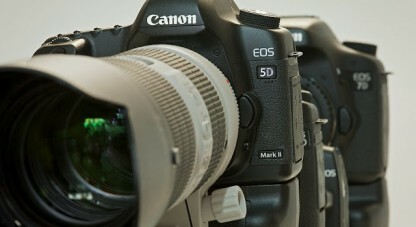 We look forward to comparing it directly to the 5Dmk3 soon.